A 40 minute screencast from a developer advocate on the Go team that tours some of the tools you should be using in your day-to-day Go development. A survey built by a few members of the Go community to see how people are using the language. A look at building an experimental Python library that actually uses Go’s Web server behind the scenes so you can write super fast servers in Python. 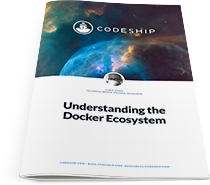 In this free eBook, we introduce the Docker Hub, Docker Engine, Kitematic, Docker Machine, Docker Swarm, Docker Compose, Docker Cloud, and Data Center. Learn what they are and how they work. We wouldn’t normally feature a point release but this is Hugo’s biggest release ever and if you haven’t checked it out yet, it’s worth a look if you’re in the market for a static site generator. Follow Tapjoy’s path to learning how to structure server code and tests to properly do router testing. Building next Generation mobility ecosystem. At Sixt we are looking for talented Go engineers to join our Munich office and help us build a next generation mobility ecosystem. Homepage here, if you’ve not seen it yet. Using Make to concurrently build your Go application for multiple platforms. Distributed tracing and code-level application performance monitoring. RedisGreen's new memory map models your database, helping you track down problems and gain new insights. Segment is the customer data platform that developers and analysts love because of its elegant APIs and extensive partner ecosystem.